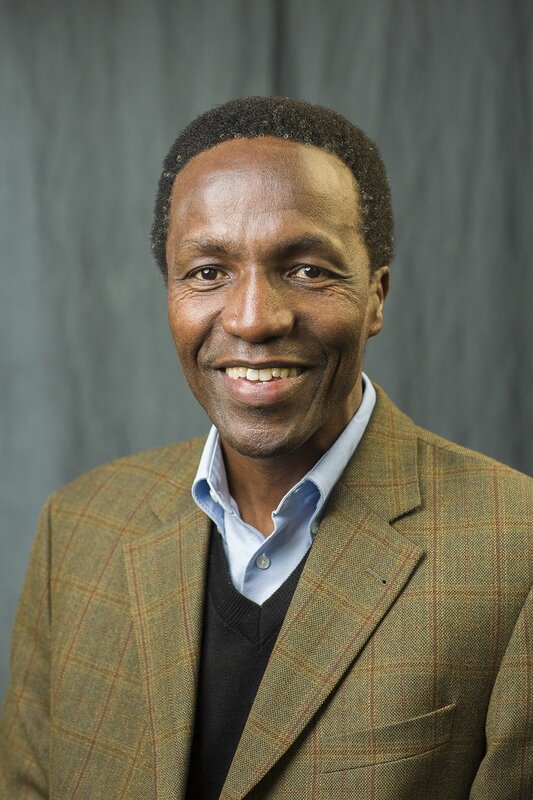 Chris Amulo, a former veterinarian born in rural Kenya, has a vibrant vision to advance the Gospel into the cities of Africa. He’s been giving his full-time effort to equipping young professionals so that they can take the Gospel to their workplaces and relational networks. Chris has seen God establish a strong ministry to professionals in their 20s and 30s. God’s generational impact through Chris is exciting. 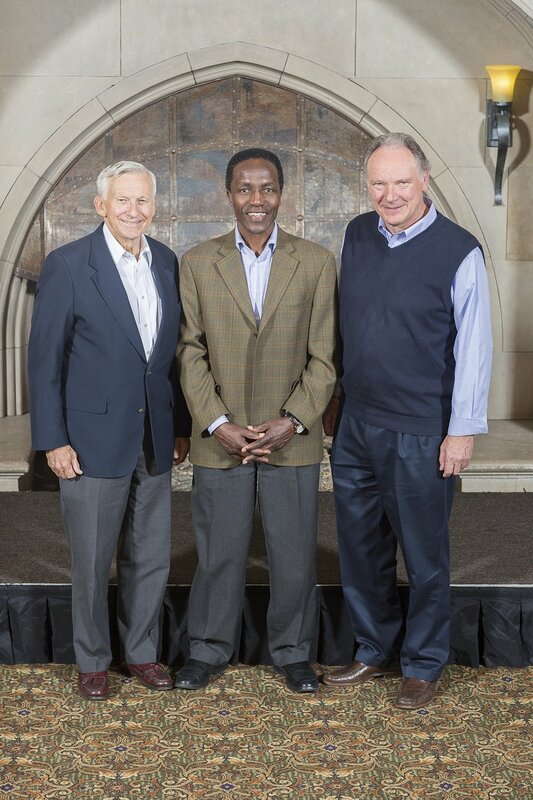 I would like to share the stories of two men—Victor Kilwake and Jay Muia—who were discipled by Chris. Chris met Victor after high school, took an interest in him, and became his friend and spiritual mentor. Chris began helping Victor grow in his devotional life and live by God’s promises. Chris also helped prepare Victor to lead others to Christ and to disciple them. Victor is now a Navigator staffer and a leader of the ministry for college graduates. He and Chris equip young professionals to be influential in the workplace. Victor is mentoring a young man who works as a certified financial analyst in Nairobi and who is passionate to live out his faith in the workplace. Recently, Victor’s friend has been working with students at a business school. At the time of this writing, he is looking for an apartment next to this university so as to facilitate his relationships with the students in the evenings after work. Victor is supporting his friend in this initiative. God has also used Chris to bring about a generational impact through Jay Muia. Jay is a Ph.D. student at Daystar University, and his wife, Sarah, is a lawyer in Nairobi. Jay came to Christ and first met Chris fresh out of high school in a Navigator Bible study. Chris discipled Jay over many years, helping Jay be God’s man in his profession. As a result of Jay’s honesty and hard work, he was honored by the Ford Foundation and Youth Agenda as a rising national leader in Kenya. “The biblical lessons about integrity that I learned from this period created convictions about how to live as a Christian in a secular workplace,” says Jay about his times with Chris. Jay is also working with recent college graduates to prepare them for professional life. He is helping lead a university outreach effort at his church, and he and Sarah often speak in high schools about Jesus. As Victor and Jay invest in the next generation of young professionals, Chris continues to maintain a strong friendship with them and to pray for them. One of the promises he prays for Victor and Jay is found in Psalm 145:3-4: Great is the Lord and most worthy of praise; his greatness no one can fathom. One generation will commend your works to another; they will tell of your mighty acts. The Navigator vision of God advancing his kingdom through spiritual generations is alive and well in Kenya through men and women like Chris, Victor, and Jay. Please pray that many more people will come to Christ as they carry the Gospel forward into the marketplace. Esther Waruiru served with The Navigators of Kenya and the Africa Regional Team prior to serving as an International Vice President from 2005 to 2014. She is now an associate to the IET. The son of a pastor, Mutua Mahiaini was born and raised in Kenya by parents for whom God was real and active in all situations. But it wasn’t until he was 10-years old that he answered the call to make Jesus his Lord. From that time on, Mutua has grown in the adventure of knowing Christ more and more through all of life’s hardships and challenges. In this interview with Worldwide, Mutua shares why he believes it is crucial for believers to constantly grow in our relationships with Jesus. Worldwide: How do you think your international work, as well as your Kenyan upbringing, have affected your understanding of God? Mutua: I have, especially since we moved to the Ivory Coast as missionaries (in 1994), reflected a great deal on what we should share about Christ—regardless of our socio-economic status, regardless of our race and our culture. What is the bottom line that we should share? . . . There is the story of John the Baptist, when the Jews of Jerusalem sent priests and Levites to ask him, “Who are you?” John replied by telling them who he was not. So they asked him if he was Elijah or the Prophet. Their questions show that they could only understand people in terms of a name; they needed to put people in categories. There was no category that John could give them. So he told them that he was the voice of one crying out in the wilderness (see John 1:19-26). This shows us that we all have to make a choice: Are we going to have a name, or be a voice?. . . The message in that passage is, for me, that I will never really have a voice that has spiritual authority, I will never be a voice, unless I give up my quest to have a name among men. Worldwide: Isn’t it true, however, that your Kenyan culture is a major part of your identity, your name? Mutua: My “Kenyanness” is a blessing that helps me to be able to identify with many people. I grew up with people whose lives were very, very basic. Many times on dark nights people would ask my dad to drive pregnant women to the hospital. Sometimes a woman would have the baby in my father’s car. And sometimes the car would get stuck in the mud on the way to the hospital. I grew up seeing that people’s lives are pretty fragile. This has helped me to understand people. But, going back to the idea of having a name or a voice, we who are in Christ know that we have a name given to us by God and that it trumps any name or any identity that the world can offer. That is really the identity with which we should go to people who are in the “wilderness.” I don’t go to people as a Kenyan. I go to them in the identity that God has given me. Doing this allows us to have a voice that has God’s authority. Without that, we speak and it is hollow. There is no spiritual power behind it. Worldwide: Is there a passage of scripture that has meant a lot to you in your life? Mutua: Yes, one of them is Isaiah 30:23-24. It says, "He will also send you rain for the seed you sow in the ground, and the food that comes from the land will be rich and plentiful. In that day your cattle will graze in the broad meadows. The oxen and donkeys that work the soil will eat fodder and mash, spread out with fork and shovel." This to me is about God’s promises. He promises to send rain. So by faith we sow the seed in expectation that God will send the rain. . . . This is about the blessing of God in our lives and the extension of our impact. . . . There have been so many times in ministry when I was investing in people and I thought, “Is that the best you can do?” There are accusing voices that can discourage us. But many times God says, “Just sow the seed. I will do the watering.” . . . God is at work, so we are not to be preoccupied with the constant measurement of our impact. Worldwide: In what ways can we encourage one another to continue growing in our relationships with Jesus, throughout our lives? Mutua: Part of the answer has to do with the message that we bring to people. The basics are so crucial: We have to be reading the Bible and to be praying. But these things in themselves are not what we preach. Our core message is not “have a quiet time.” And yet we cannot do without a quiet time. So we can’t confuse the means of growing in Christ with the center of our message. In 1 Corinthians 2:2, Paul says, "For I resolved to know nothing while I was with you except Jesus Christ and him crucified." That idea of us presenting Jesus as the Alpha and the Omega is such a compelling thing—to communicate Him according to His fullness. . . . We know that the god of this age has blinded many people. So it’s not like every time we talk about Christ people are going to respond. But it would be disappointing if we conveyed Christ in a way that makes Him less than He is. This is why we each must know Jesus so deeply, so that we can minister out of the overflow of who He is to us and what we know of Him. There is something about a deep walk with God that is so compelling that people want to come to Him. We did indeed grow. What made this group so important in my life was the spirit of humility and vulnerability that grew in our hearts. We confessed to each other, sought to understand each person’s deepest needs, and prayed fervently. We inspired one another onward in our work, and encouraged each other through God’s Spirit working in us. This was indeed a community of grace. This cherished group of friends illustrates an important biblical principle: Although we each have a personal relationship with Jesus, we need a small community of believers to fully mature into the likeness of Christ. Spiritual growth does not occur in isolation. The New Testament speaks approximately 60 times about the “one another” dynamics of spiritual life. Clearly, strong relationships are at the heart of God’s will for us. In Ephesians 4:2-3, Paul writes: "Be completely humble and gentle; be patient, bearing with one another in love. Make every effort to keep the unity of the Spirit through the bond of peace." Paul speaks here of keeping something that we already have. And he calls us to “make every effort” to protect that unity. Our relationships really matter to God. In this way, a community of grace demonstrates what Hebrews 10:24-25 says. "And let us consider how we may spur one another on toward love and good deeds. Let us not give up meeting together, as some are in the habit of doing, but let us encourage one another—and all the more as you see the Day approaching." We also need a community of grace to be victorious over sin. Notice the counsel that Paul gave young Timothy. 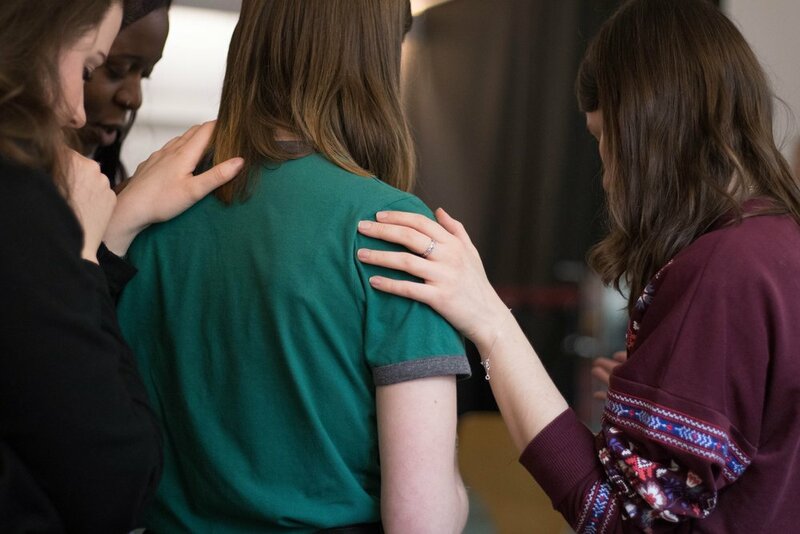 "Flee the evil desires of youth, he said, and pursue righteousness, faith, love and peace, along with those who call on the Lord out of a pure heart" (2 Timothy 2:22). Please pray that our Navigator communities around the world will be known as Christ-centered, safe places where people find healing, growth, and unity. And may Jesus be revealed through these communities among the lost. Mutua Mahiaini is an International Vice President of The Navigators. Mutua and Stephanie led our work in Kenya, then Côte d’Ivoire, and then the Africa Region for the last 13 years. Mutua and Stephanie now live in Colorado Springs. They have four adult children.